We have put together a few easy to follow Jewellery Care tips to help you look after your jewellery and keep it looking its best for as long as possible. Naturally over time, your jewellery will take on its own character, so follow our advice and your jewellery will last and last. With time, or if knocked against a hard surface or caught on clothing, the clasps, joinings or settings may come loose, which might result in you losing a favourite piece of jewellery. To prevent this from happening, it is always a good idea to check your jewellery regularly, particularly the clasps and joinings to make sure they are secure. Because some detergents can cause a build up of film on the surface of your jewellery or even tarnish or damage it, it is also worth remembering to remove any rings before doing any housework or washing up (we all know how much we love doing the housework!). 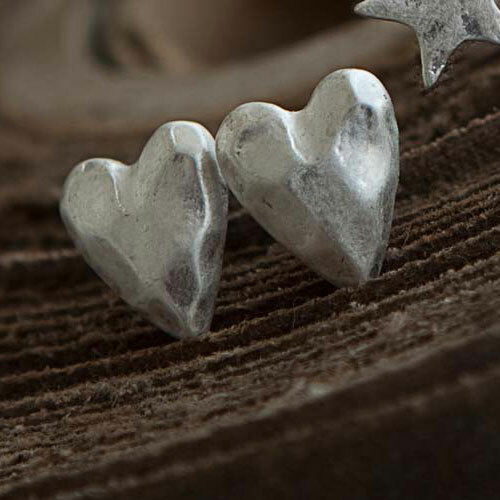 As silver is a soft metal and contact with a hard surface can dull its lustre and cause dents in the surface or bend it out of shape, we’d suggest that you try to remember to remove your jewellery for any outdoor pursuits, gardening, manual work, energetic activities or DIY. Something you may not know is that chlorinated water, salt water and fresh water can damage jewellery so please remove your jewellery when you go swimming. Also soapy water leaves a build up of film on silver creating a dull appearance, so to keep your jewellery looking great, remember to take it off before your bath or shower. Pearls can be damaged by extended periods of exposure to direct heating and sunlight, which may result in the outer shell drying up, so its worth remembering to either remove them or cover them up if you are exposing yourself and your jewellery to long periods in the sun. When getting ready it’s worth knowing that perfume, make-up, hairspray, deodorant and perspiration can also tarnish your jewellery so please beautify yourself before putting on your jewellery. After wearing, always remember to gently wipe your jewellery with a damp cloth and then dry it lightly. To avoid damage to your jewellery while storing we suggest you wrap each piece in soft fabric or acid free tissue paper and in an airtight container or bag. The best place to keep your jewellery when you are not wearing it is in a cool, dry place away from direct sunlight or other extreme temperatures as this may damage your jewellery. Storage for a prolonged time can cause silver jewellery to tarnish – so make sure you show it off. There are many different types of jewellery that require different methods of cleaning, so here we detail all that apply to any of the items that we sell. Costume jewellery can tarnish over time so gently clean from time to time in warm water with a very small amount of mild dish-washing liquid. Once washed, rinse with plain water and then thoroughly and carefully dry with a lint free cloth or towel until completely dry. We do not recommend using a polish cloth, paste or other strong jewellery cleaner. Sterling Silver Jewellery will inevitably tarnish with time and wear, however if you polish it frequently with a soft dry cloth this will avoid tarnish (we do not recommend using silver dip for this very reason). Jewellery with sandblasted, brushed, cross-scratched and dazzle finishes should not be cleaned with a silver cloth. Instead just use warm soapy water and a soft brush and then thoroughly rinse and dry with a soft cloth. Please feel free to get in touch if you have any questions regarding cleaning your jewellery.